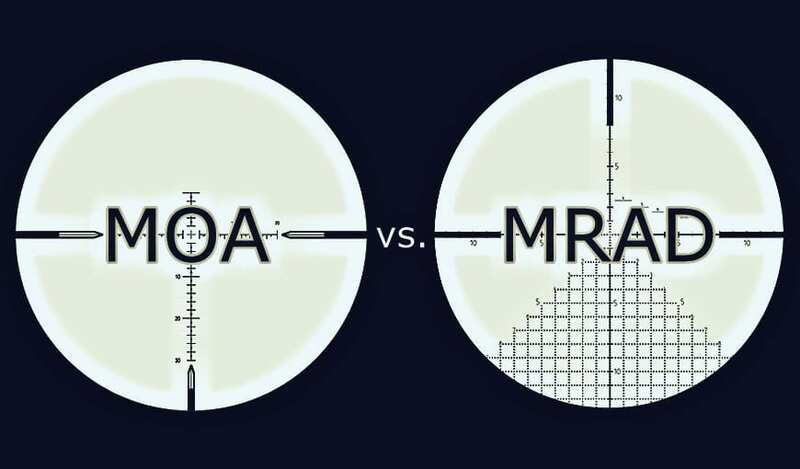 One of the greatest debates among rifle scope enthusiasts is which type of measurement system you should use: MRAD/MIL or MOA? The truth is that both types have their advantages and benefits. Let us guide you through what makes them each distinct and show you some great scopes that use each system. First, let’s explain MRAD. MRAD (also known as MIL) is a simplification of a longer word: milliradian, which describes one one-thousandth of a radian. One 360-degree circle can be divided into approximately 6.3 radians. Each radian, then, has 57.3 degrees in it if you do the math. Stay with us! So 360 degrees equals about 6.28 radians or 6,280 milliradians. For most scopes standardized by NATO, an MRAD measurement system will operate as though there are 6,400 milliradians in a circle for easy math. One click of your turret usually equals 1/10 of an MRAD. It is an alternative to the MOA system of measuring point of impact adjustments and is being widely adopted by the military and law enforcement agencies of the world. Because of the easy math that comes with this system, many actual shooters who have to think quickly prefer the MRAD system to the MOA. How Does the MRAD System Work? This system allows you to adjust your point of aim through your scope. 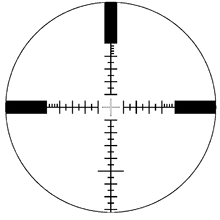 Your reticle is what you try to aim towards as you fire. However, you can adjust your point of aim via the turrets or adjusters on your scope, which either come in MRAD (MIL) or MOA configurations. At .1MRAD (or one click of your adjuster turret), your point of impact moves one centimeter. At 1000 meters, 1MRAD click will then equal one meter of movement for your point of impact. Understanding this conversion will allow you to better calculate your bullet’s trajectory and make longer shots more accurately. This works very well with the metric system and can be used to extrapolate distance at a very even incline. For instance, at 100m 1MRAD is about 10cm of a point of impact adjustment. At 1000m, 1MRAD is about 100cm of a point of impact adjustment. This makes it very easy to calculate in your head or on the fly since it all measures up with units of ten. If your range is 751m, then 1 MRAD of adjustment will result in a 75.1cm point of impact change. See? Not too hard! MOA is the other type of adjustment configuration. MOA stands for “Minute of Angle”. For MOA purposes, each degree of a 360-degree circle is worth 60 “minutes”. Thus, a full 360-degree circle will have 21,600 Minutes of Angle if you follow the math properly. One click of your turret usually equates to ¼ of an MOA. Many military and law enforcement agencies are currently transitioning to a full MRAD-style of measurement but are currently using a blend of MRAD and MOA, requiring quick conversion skills from one to the other depending on what their reticle or turrets use. How Does the MOA System Work? One MOA is about 1” of adjustment at 100 yards. Thus, if you know the distance from your target, you can calculate your MOA and adjust your scope accordingly. This is rather complicated without a calculator, but estimates are commonly used in active-shooting situations or by a spotter if you’re working at extreme ranges. At 100 yards, 1MOA is about an inch of adjustment. At 1000 yards, 1MOA is about ten inches of adjustment. This follows logically for as far as you want to go. The MOA system works really well with the imperial system of distance calculation, so places which commonly use those units (yards, feet, etc.) will find that MOA is a little easier to calculate due to memory. However, actual speed may be slower than using an MRAD system, which follows more fundamental math rules. MOA is simply an alternative way of calculating the difference for your point of impact when shooting at targets that are far away. It is the most commonly used method for calculating point of impact adjustments in most civilian or imperial-system situations. Now that we’ve gone over both types of adjustment, how can you convert these figures the way that many law enforcement agencies already have to do every day? Let’s look at some basic facts. First, 1MRAD equates to about 3.38 MOA, making for a messy conversion rate. However, where it gets complicated is when you need to convert for clicks on your turret. What you’ll need to do is convert the distance from your reticle to the appropriate value for your turret’s system using the fact above. For instance, if you have a distance of 200 yards and your shot hit two dots off to the right, you can calculate that that’s about 14.4 inches of a miss using MRAD values. But what if your turret is set to MOA? This means the turret adjusts for ¼ MOA every click. 1MOA is 3.5 inches at 100 yards, so if you’re at 200 yards 1MOA is going to equal twice that: 7.2 inches. Still with us? If you’re 2MRAD units off to the right, you need to swing your point of impact back 14.4 inches in the opposite direction, left. Remember that each click of the turret is ¼ MOAm or 0.5inches per click at your current distance of 200 yards. Therefore, you’ll need to click 28.8 clicks to the left to adjust your shot. As you can imagine, trying to do all that math on the fly would be tricky even for a math whizz. Instead of going through this struggle, we recommend always trying to find scopes that have matching MRAD/MOA metrics for their reticle and their turret adjusters. This way, you won’t have to calculate your conversion rate as painstakingly as we just did. MRAD: Who is it Best For? MRAD is most commonly used by the military and law enforcement agencies, as well as any organization that likes to adhere to the kind of regimented uniformity that makes such large groups function well. These types of organizations use MRAD because it’s easier to transmit information on distance across units using a metric-friendly measuring system, whereas an imperial system can be confusing for some people. If you like the military aesthetic or mystique, you may find that MRAD measurements are your favorites. You’ll also feel more at home using MRAD conversions if you grew up learning how to use the metric instead of the imperial system, since using the MOA system relies on an understanding of inches, feet, and yards that don’t follow any sort of logical progression. MOA: Who is it Best For? Many American civilian shooters and agencies use MOA measurements since it relies on the measurement system most commonly used by the U.S imperial. Since Americans were raised learning how to calculate inches, feet, and yards, they can more quickly adapt to the breakdown of a circle that MOA utilizes. Neither type of system is truly “best” for anyone or better than the other. Instead, the most important thing to remember when shopping for a scope is to find the system that you’re most comfortable with when it comes to doing quick math and adjusting on the fly. In a hunting situation, quick adjustments might mean the difference between a successful or failed hunt. In addition, don’t forget to get a scope with matching MOA/MRAD configurations for its reticle and turrets unless you love doing excess math in your head. Now, let's take a look at some of our most beloved MRAD scopes that take full advantage of the linear measurement system MRAD represents. 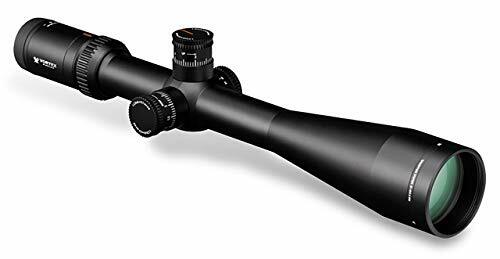 This excellent scope comes with magnification values of 6-24x, providing a wide range of possible distances to make use of its MRAD reticle and turret. It’s made from aircraft-grade aluminum and is weatherproof with an anodized finish to reduce corrosive damage. The optics are bright and clear and a precision-glide erector system ensures that anytime you switch the magnification level, the experience is smooth and unstuck. The reticle is etched on the second focal plane, so it doesn’t change size as you shift between your zoom levels. 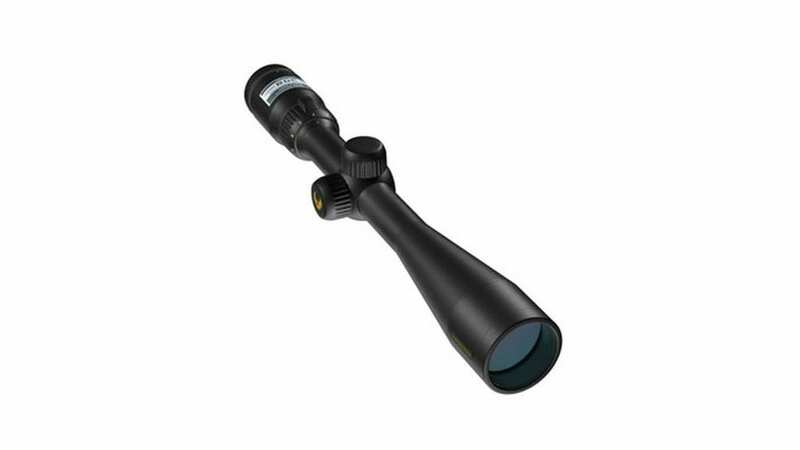 This scope provides magnification levels of 3-27x, one of the widest we’ve ever seen. A 56mm objective lens sports its MRAD reticle on the first focal plane, ideal for longer-range scopes since the reticle will shift in size for your further zoom levels. This will allow you to more quickly made range adjustments on the fly. The turrets click very audibly for easy adjustment even when there’s other noise going on around you. It’s totally weatherproof and made from exceptional aluminum as well. Now let’s look at some of our favorite MOA scopes, perfect if you’re an American and used to dealing with an imperial system. This is a scope that’s for close-range scenarios, offering magnification levels between 3 and 9x the standard. This does have a mixed MRAD/MOA system, where the reticle is MRAD style and the turret adjusters as MOA. However, provided that you can do the conversion, you’ll find that the illuminated reticle is extremely accurate and benefits from the emerald coating, which improves light transmission and provides you with a great sight picture. A sunshade and flip-open lens caps add even more value to this budget scope. 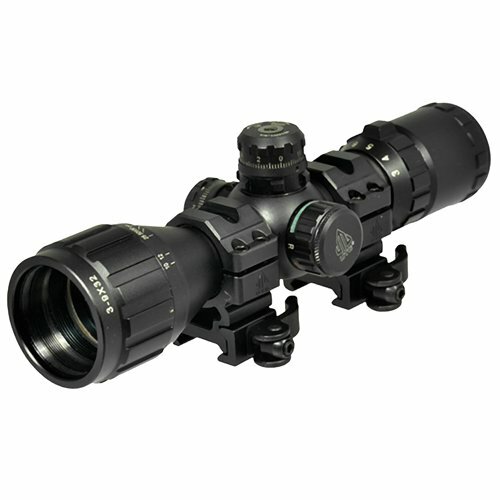 This riflescope goes from 4-12x magnification and uses an MRAD dot as well, utilizing MOA turrets for adjustment. Its lenses provide light transmission values for up to 98%, one of the highest values you'll find on any riflescope in the market. The optics are multi-coated to reduce scratch damage and wear and tear, too. The scope is durable and O-ring sealed to extend its lifespan. It's also completely weatherproof so you can take it on hunting trips and rest assured that it won’t fail when you need it most. A quick-focus eyepiece completes its versatile set of perks. Now the question goes to you: MRAD or MOA for your scope? As you can see, there isn’t any one right answer beyond what you’re most comfortable with. Consider your options carefully, think about your skills with math, then find a scope that’s right for you!